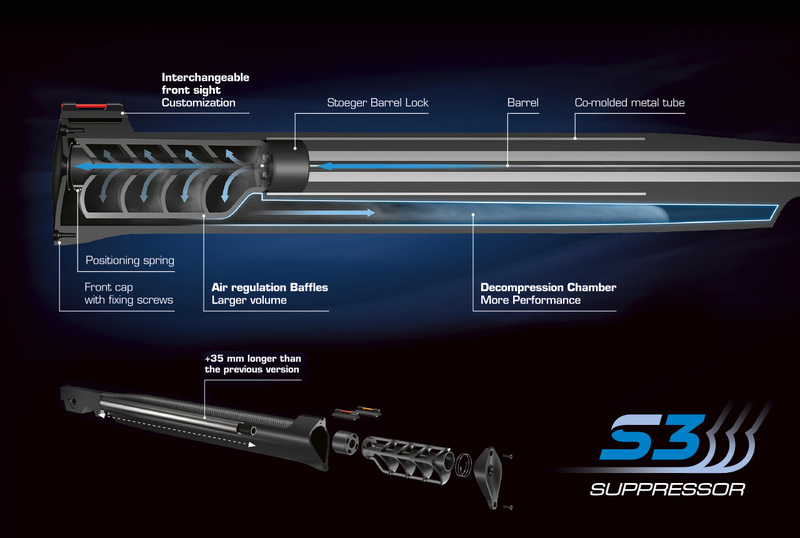 Stoeger AIRGUNS Patented S3 Suppressor: the ultimate innovation in the airguns industry. Completely developed from scratch, it is the first suppressor in the world to have an interchangeable front sight and an air decompression chamber that further enhances the performance of the air regulation baffles, optimized to be more performing than the S2 version. The revolutionary design of S3 Suppressor has made it possible to develop a longer barrel (35 mm), hence with a greater precision of shooting. Innovation, Technology and Style are the three principles behind our “Human Tech Design” philosophy. Stoeger AIRGUNS RX20 S3 incorporates the very best in style and performance. 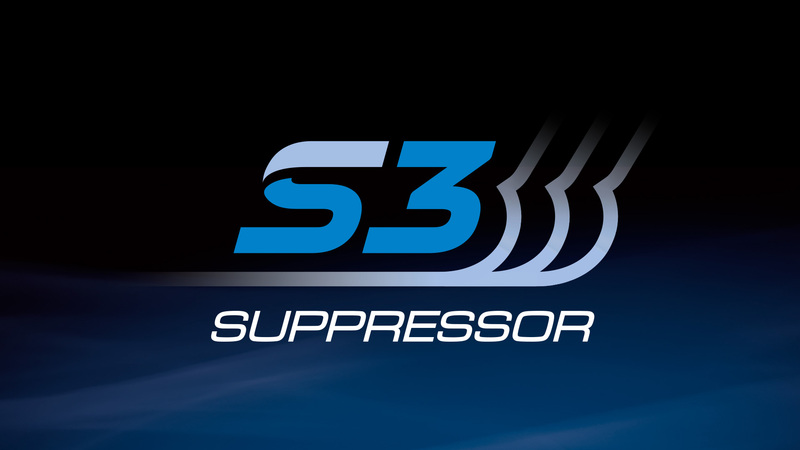 S3 Suppressor System combines the functions of an internal air regulation baffles and the decompression chamber, that work in tandem to reduce noise better than any other airguns on the market.